With the stepping of Reliance Jio into the game, the Indian telecom sector has forever changed. 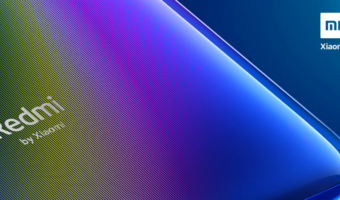 With the prices going down day by day and the telcos offering plans with maximum benefits the users have a reason to be happy as in this ongoing battle of the telecom operators, the companies are launching new plans constantly to lure new customers all the while launching new offers, cashbacks and schemes to ensure that their existing customers stay. In this battle, Bharti Airtel, Reliance Jio and Vodafone India are clearly the major players. We have compiled a list down below of all the best prepaid plans being offered by these telcos. 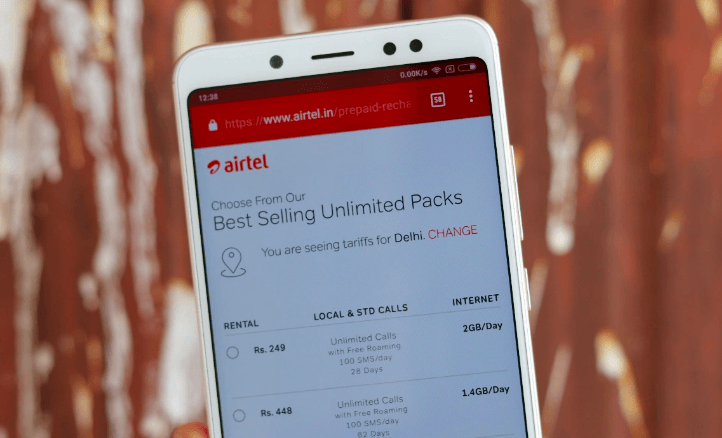 Airtel’s new introduction is the Rs 499 prepaid plan which is offering the users unlimited local and STD calls with free roaming and 2GB of 4G data per day. This plan comes with a validity of 82 days. The total amount of 4G data in this plan is 164GB. The plan also comes bundled with 100 SMS. Airtel also launched a new Rs 558 plan with 3GB Data on offer for 82 days. There is also the Rs 448 recharge pack which offers unlimited local/STD calls with roaming facility and 100 SMS per day for 82 days. The data benefits, however, in this plan are low with the daily FUP limit being 1.4GB per day. 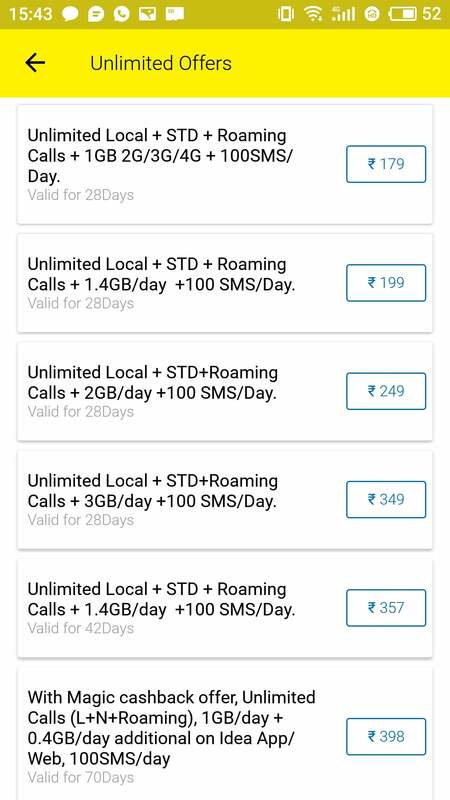 There is also a more affordable option by Airtel which comes at the price of Rs 349 and comes with unlimited local and STD calling along with 2.5GB 4G data per day for a period of 28 days. You also get unlimited roaming incoming and outgoing calls along with 100 local and national SMSes per day. And the best highlight of the Airtel 4G plans in India is that the voice calling is unlimited as there’s no FUP limit on a daily or monthly basis. This is something Airtel has introduced to counter Reliance Jio and its unlimited voice calling scheme. Reliance Jio, owing to the IPL season in the country is placing its bet on the “Cricket Season Pack” which comes at Rs 251 and packs 102GB of bundled data and validity of 51 days. The Jio pack is part of company’s limited period offer to provide users with the option to stream IPL 2018 matches. The daily 4G data is capped at 2GB. Along with data benefits, the plan also offers unlimited calls for the entire validity of the pack. There is also another Rs 299 plan which comes with 84GB of bundled data with a 28 days validity period. The daily data is capped at 3GB 4G per day and other benefits such as unlimited voice calls with roaming and 100 SMSes per day are also present. Next in the line are the Jio’s 2GB daily data 4G plans in India which start at Rs 198, Rs 398, Rs 448 and Rs 498. These plans offer validity of 28 days, 70 days, 82 days and 91 days respectively. There are also other 4G plans by Jio which offer 1.5GB daily data that start at Rs 149, Rs 349, Rs 399 and Rs 449. These prepaid packs come with the validity of 28 days, 70 days, 82 days and 91 days respectively. 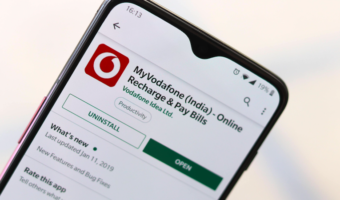 Vodafone is also not far behind in the competition with its plans starting at Rs 349 plan which comes with 2.5GB 3G/4G data per day. 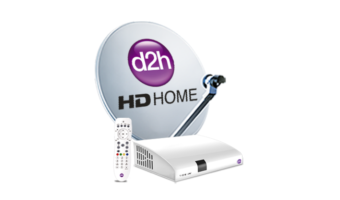 The plan has a 28 days validity and offers unlimited local and STD calls. You also get 100 SMS per day. The next attractive plan by Vodafone comes at Rs 399 plan which offers 1GB 3G/4G data per day for a validity of 70 days. The other benefits such as unlimited voice calls and free SMS remain the same as above plan. Lastly, there is the Rs 458 4G plan which bundles 1.4GB high-speed daily data and comes with a validity of 84 days. There are also 100 SMS bundled with the plan, along with the unlimited free calling. !dea waalo kahan so rahe ho..ek bhi plan nahi hai unlimited section mein..ginti k do plan k sahaare kab tak baithoge? AirTel se kuch seekho, JIO k saare plan copy paste maare hue hain bass 50/- badha rakhe hain..Woh bhi naa karein toh fir maarkaat pe utar aayenge..
Go through app and enter your number!!!!! I get usable data speeds ranging from kbps to up to 40mbps through out three states (Maharashtra , Gujarat & Rajasthan) depending on the load & signal strength. After the roll out of 4g , data coverage has increased . The speeds , if you compare one year back have decreased. They have dropped to 3g era . 3g experience was more or less same as congested 4g. That’s because of most of the people are latched on to Jio!!!! !